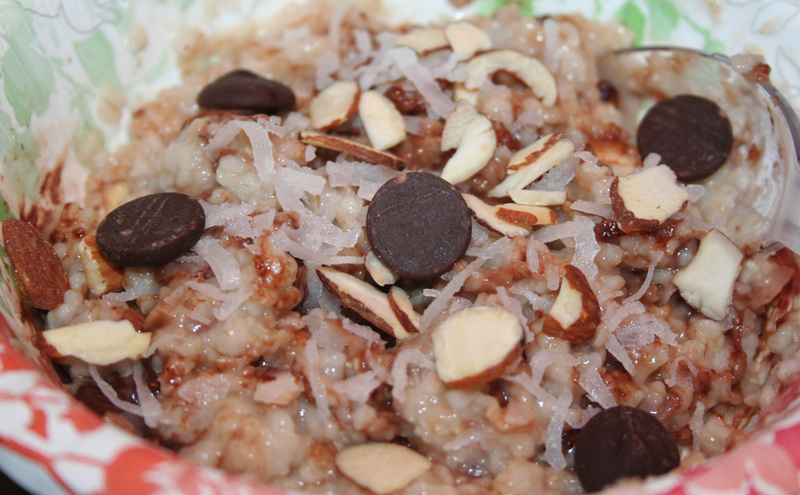 Almond Joy Oatmeal (Gluten-free & Dairy-free) | A Bit of Nutmeg! Prepare the oats according to package. Once cooked, stir in the coconut, almonds, salt and sugar and top with chocolate chips. I used to hate coconut, but have taken a sudden and random liking to it. I’ve been obsessed! I eat oatmeal every day, so I’ll have to try this!